These two messages are key to a SEAL teacher! Names and Movement: This activity is great for learning names and giving insights to your students. It celebrates their unique qualities through movement. Your reactions to each student’s contribution in this activities role models how much you appreciate the diversity of your students. ALL through movement! A perfect SEAL activity. Have the class stand in a circle and one by one have the students say their names while doing a movement. The movement can be a simple arm wave or an elaborate, dramatic gesture. The key is not to think too hard about it when coming up with it. The rest of the class then repeats the name and accompanying movement three times back before moving on to the next person. This simple activity is a must for my first day of school but also is fun to do throughout the year. You can really get a handle on personalities, interpersonal relationships and how students are feeling at that particular time. Not to mention it REALLY helps me to connect new names to faces for a the new school year. First Time Doodles: In my fourth grade classroom, I have students make “My First Fourth Grade Doodle”. It is a mostly blank piece of paper with a simple, nondescript mark on it. The students are asked to create whatever they want with that mark for a period of time such as at the beginning of the day, beginning of the class period or during any free time they may have. You can also carve out some time in your schedule if you so desire. Sometimes, I will assign the doodling on one day and tell students it is due in a day or two giving them ample time to return to their work and fill up the paper. The true SEAL part of this activity occurs when it’s share time. Students are able to see (with the guidance of the SEAL teacher) that even though everyone got the same mark on the paper, there were so many variations. Sometimes you’ll find that a couple of kids drew something similar. Note that as well! Guiding conversations around the art that students created is a wonderful way to build both social awareness and relationship skills. Understandably, this can be seen as an elementary activity, but it is really good for the middle and high school years too. It builds oral skills as students are encouraged to share what they have done with you, a small group, or the whole class. You may discover a hidden talent. It can also become the inspiration for a story or poem. You can search inside the doodles for patterns and symbols, lines and colors. They can become the topic of a descriptive essay or the springboard for vocabulary work with your ESL students. This year I intend on having students keep their doodle for some time, going back to it for various other integration opportunities. We’ll see what comes about from that. There are many possibilities! Enter to Music: This is so simple to do and can be so effective. Set the mood for your classroom by playing a piece of music. Classical works, big band is great and even contemporary music can invite the kids into your room and get them focused. It’s amazing what a room filled with music can do to draw people in. My choice for the first day with kids: Glenn Miller’s String of Pearls played on a loop. It is chill, yet invigorating; not too slow, not too energetic; just right for getting kids in and getting them ready for the day. Here’s a link where you can learn more about Soundtracking Your Classroom. 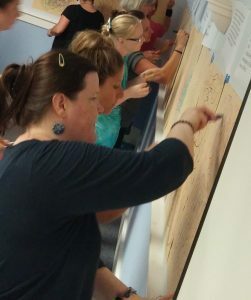 Creating a classroom culture that accepts a variety of art forms AND accepts and encourages good social relationships is important to do from the start of the school year. Never underestimate the power of the arts in ALL kinds of learning! We strive to reach out to ALL educators, Pre-K through 12, across content areas. We want to help YOU to get inspired, so you can be inspiring to your students. 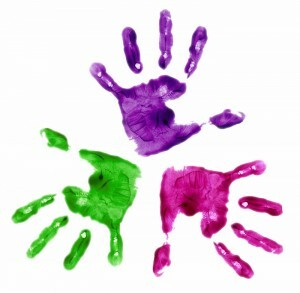 We focus on Arts Integration, S.T.E.A.M., and Social-Emotional Learning through the Arts. Join our mailing list to get inspiring stories, ideas, updates and freebies! I'm Ready to Get Inspired! We will never share your email with anyone. Promise. Download, print and use this worksheet to help your student gather ideas to compose their own "I'm From" poem inspired by George Ella Lyon. Would you like to get inspiring stories, ideas and great strategies in arts integration and SEAL (Social-Emotional Artistic Learning)? We will send these to the email you provided. Want in? YES! I want to get inspired! Share YOUR One Word with me! Having trouble with your word? If you are, no worries. I get it. Tell me what is concerning you. I want to share my weekly inspiring posts, stories, and activities with you so that we can continue to grow together! They will be sent to your inbox. Want in? Would you like to get inspiring stories, ideas and great strategies in arts integration and SEAL (Social-Emotional Artistic Learning)? We will send to you about twice a month. Want in? Nope. Just send me the freebie. Get your free SEAL tool! Nope. Just send me the lesson plan. 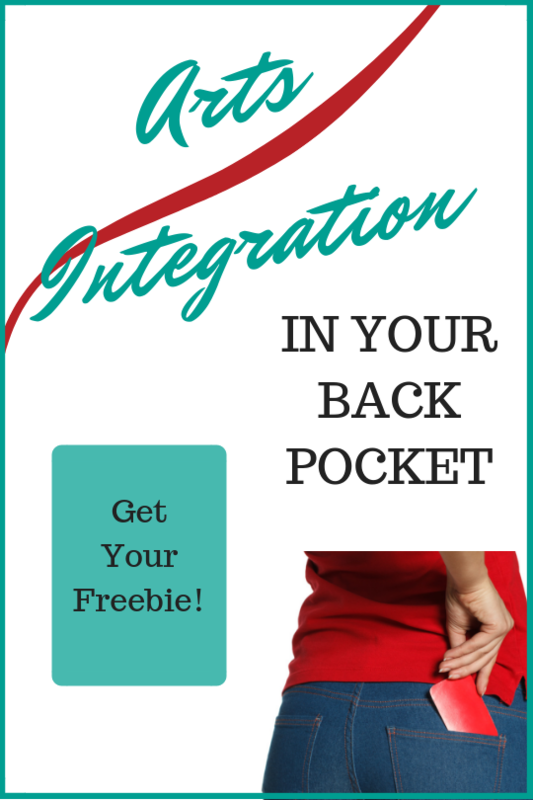 Now you can try out my tried and true “in your back pocket” best arts integration strategies! I have relied on these 4 strategies time and again for a variety of subjects. Each is complete with ideas for Math, SS, Science, ELA and SEAL and includes objectives and assessments at your fingertips! Would you like to get inspiring stories, ideas and great strategies in arts integration and SEAL? I want to get inspired! Send me my new SEAL Lesson Plan!